Dear kids read this short story and enjoy. 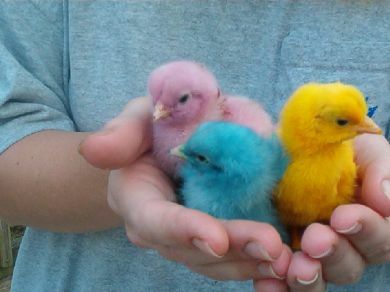 In a village a man had a hen that had three chicks. Elder one had blue colour, the next one had yellow colour and the youngest one had pink colour. The youngest was very proud of his colour and always used to quarrel with his brothers. Not only had he quarreled with his brothers but all the other animals in the house. After some days he even decided to stay at home when his mother brought them out for food. He was of the view that the sunlight will spoil his colour. So as a result he became very fat and lazy and sometimes even he was unable to move. On the other hand his brothers were very active. One day when their mother was away they saw an eagle coming to them. Both the elder ones ran at once and hid themselves but the younger one could not run due to his laziness and the eagle picked him up with his claws. His vanity had brought him to death.